Are you looking for information on the company Yiwu Soolu Auto Parts Co Ltd located in China who sells Pet Products? If so, read below to read one buyer’s experience with this company. Also you will find related search links to explore more about Yiwu Soolu Auto Parts Co Ltd on Supplier Blacklist and across the web. Chris @ delayed production and ultimately decided to go unresponsive for weeks, which turned into months. 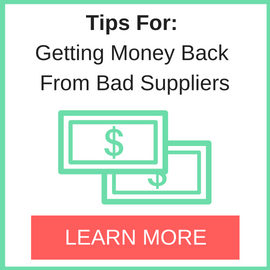 I strongly recommend staying away from this company – the products they create or source can be found in many other factories. 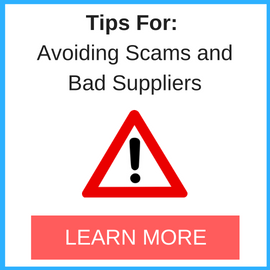 BUYER BEWARE!! Need More Info on Yiwu Soolu Auto Parts Co Ltd? 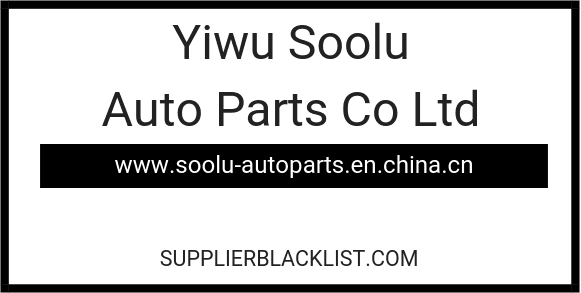 If you need more information, you can click the below links to search for more submissions about Yiwu Soolu Auto Parts Co Ltd on Supplier Blacklist as well as go to the search results page on Google for more reviews online about this company. Perform a Supplier Blacklist search for more reviews on Yiwu Soolu Auto Parts Co Ltd.
Search Google for Yiwu Soolu Auto Parts Co Ltd Reviews.